Micky's is a legendary check cashing place on North Point Road leading from the old Bethlehem Steel Plant in Sparrows Point just outside Baltimore and back into the city. In 1970, it had a dirt parking lot, and on a dry day the cars made dust rise up from the stones and dirt that crackled under the tires as men who worked the day shift stopped to cash their checks and buy their liquor. I was among them on the days I worked daylight, as we used to say. Daylight was hard to get, but Micky's was open for convenience long before convenience stores became a popular term. Micky's wasn't the only place where you could buy liquor, of course, and one of my riders drank as he drove on the way to the mills and drank going home. Vodka was breakfast, and we thought nothing of driving under the influence or Mothers Against Drunk Driving. We were new to things like seat belts and padded dashboards. We sat in the car and rode with him, our heads bobbing a little from still being sleepy. August Wilson's play Fences opens on a Friday evening, after the week's work is done, and Troy is out in the yard with his buddy Bono, whom he met in prison while he was doing a fifteen year stretch for manslaughter and armed robbery. He is a big man like me, and although I never killed or robbed anyone, I worked with men who did and I know men like that, men who were friends and cared for me and loved me. I know what it is to work hard enough to be glad to come home, and although I don't drink anymore except for a few sips of an occasional social glass of wine at dinner, I know what it is to drink hard. I work on building this character, this 53 year old black man who is a garbageman in a large American city in 1957, and I encounter my autobiography. However, I work from the theory of creativity as a student of acting. Troy cannot be me. I have to create him from my imagination. This character has responses and tendencies I do not have, and I am wary of the dangers of retrieving emotional histories rather than creating the same. Troy is a recovering thief, and in his days as an armed robber he had to manifest a certain menace, an aggressiveness that lets the victim know he or she will be hurt if they don't give up the goods. An armed robber has signed his soul over to a specific maliciousness that he has to be willing to back up because he can meet his match or even be overmatched in the streets, which is what happened to Troy. He used a knife to rob, and a would be victim one day had a gun. He shot Troy, and in his pain Troy lunged at him and killed him. "They told me I killed him and they put me in the penitentiary and locked me up for fifteen years." In my own life, I served fifteen years, too, but my institution was the world of factories in my hometown, Baltimore. My crime was against the expectations of society. I dared to proclaim myself a poet. It was hard labor, and I emerged unrepentant. I kept at the business of being a poet and added playwriting to make myself a fuller bard. August Wilson was a poet and playwright, a fact some people may not know. I had one occasion to talk to the man, and he told me about his poetry. It was 1989, and I had just finished teaching Fences at Borough of Manhattan Community College, one of my several adjunct jobs at that time in my life. 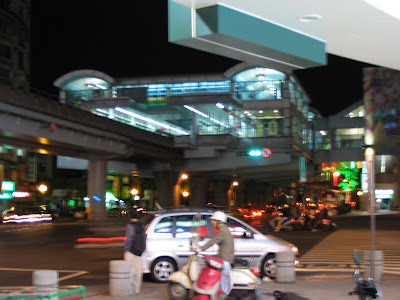 My wife and I were living in East Orange, New Jersey, and I was taking the Amtrak to Watertown, Massachusetts, just outside Boston proper. I was going up there at the invitation of Gian Lombardo to give a poetry reading. At the time I had only one book, Water Song, my first one. At Brown I had entered as a poet and switched to playwriting, which I studied under George Houston Bass and Paula Vogel. I loved playwriting, and while studying at Brown I learned how to read scripts in the workshop and played the lead in my own play with script in hand. Paula wanted me to do more acting, and she said so on more than one occasion, which is why I am studying acting now as I hope to return to my playwriting. But let me get back to my point of being both poet and playwright. Once on the train I decided to go back to the cafe car and get a Coke to go with the cold cut sandwich I made at home. The adjunct life was a poor one. I cut my own hair and learned how to survive a workday in New York with just a few subway tokens and five dollars. As I was walking back to the cafe car I could not believe what I saw. August Wilson was sitting alone at a window seat. There were less than ten people in the whole car, and I did not want to stare. But once I had my soda and was back in my seat I decided to give him a gift of a copy of Water Song. I took it back to him and said, "Mr. Wilson, I am a big fan of your work. I just finished teaching Fences, and I would like to give you this copy of my book of poetry." I was shamelessly star struck. I had a few minutes of fame in Baltimore as the city's working class hero poet, but here was a man with a Pulitzer in drama. More importantly, I deeply and genuinely admired his work. When I got back to my seat he gave me a gift. I was sitting there about to eat my sandwich when I felt a presence. Wilson was standing next to me with his bags. "Can I sit and ride with you?" he asked. I nearly choked on my sandwich. Had I done so I might have ridden the glory train to heaven having choked to death from being starstruck. 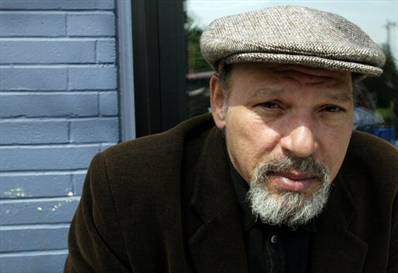 August Wilson sat and talked with me all the way to New Haven, where he was going so that he could work on Two Trains Running at the Yale Repertory. He and Lloyd Richards were making history and would continue to do so as the twentieth century wound into the twenty-first. 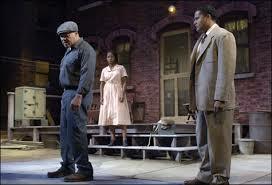 August Wilson talked and behaved as someone might imagine a Troy Maxon would talk and behave. Water Song was published in Charles Rowell's Callaloo series at the University of Virginia, and the other poets in the series were listed on my book just as on all the other books. It was a prestigious list that included a man Wilson knew, Gerald Barrax. As we rode Wilson told me how he studied poetry with Gerald, and when I met Gerald ten years later, I asked about Wilson's story. Barrax said it was true. Not only was it true, Wilson also came to class in a tweed jacket so as to look like the poet he wanted to be. Of course, he was a poet. His plays are language driven, some more so than others. In Fences I think there is an even hand of character and language. Troy Maxon roars on the page, and he resonates inside me and the black working class men I have known. So it is Friday as I write and prepare to post this blog. Micky's check cashing store is about five hunded miles south of where I live here in Massachusetts, an area with its own history of workers, but not so many of them the black men from the south like my father or like their sons who followed them, men like me, men who learned a certain music of being a worker, one that helped define the character of what we call African American culture. Songs like one my father taught me or the blues that fill Wilson's plays are songs that bond the lives of black working class men, lives that are filled with the difference race made between them and the white men they worked beside, as Troy Maxon knows because he has filed a complained to his boss, saying black men should be driving trucks, too. My father taught me a line from a chain gang song he learned from a coworker at the Norfolk naval base, a black man they called Philadelphia Slim. It went a little like this, "Fifteen years ain't no long time...I got a brother somewhere got a lifetime." I guess I better get busy at the work I have to do this Friday morning, the work of building a character made out of my imagination but filled with the breath of men I know, men like me, men who know the meaning of "fifteen years" not as a phrase but as a sentence, a statement about being.